First made popular by Xotic Effects, the Tri-logic is back! 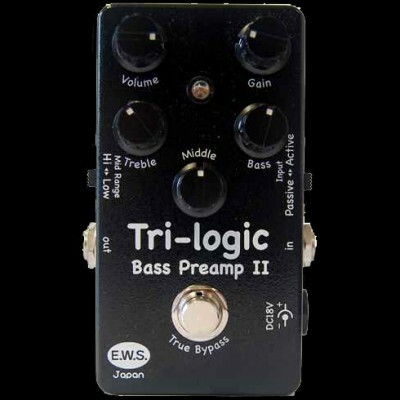 Renewed and Reincarnated by EWS, the "Tri-logic Bass Preamp 2" is significantly smaller in size and more affordable. With all the same features of the former Tri-logic, 18-volts & 3-band EQ, the Tri-logic Bass Preamp 2 has evolved with improved sound quality and usability.